Google is reportedly testing out a new application that is primarily aimed at users that have a bad internet connection. The new application is designed to use limited data and perform faster. The application was spotted in an advertisement for users in Indonesia, inviting them to test out the app. Those who watched the ad, signed up and started receiving receiving links to download the application called Search Lite. The trend of “Lite” applications isn’t anything new as we have seen the Facebook Lite app too that even allows you to browse Facebook over a 2G connection. 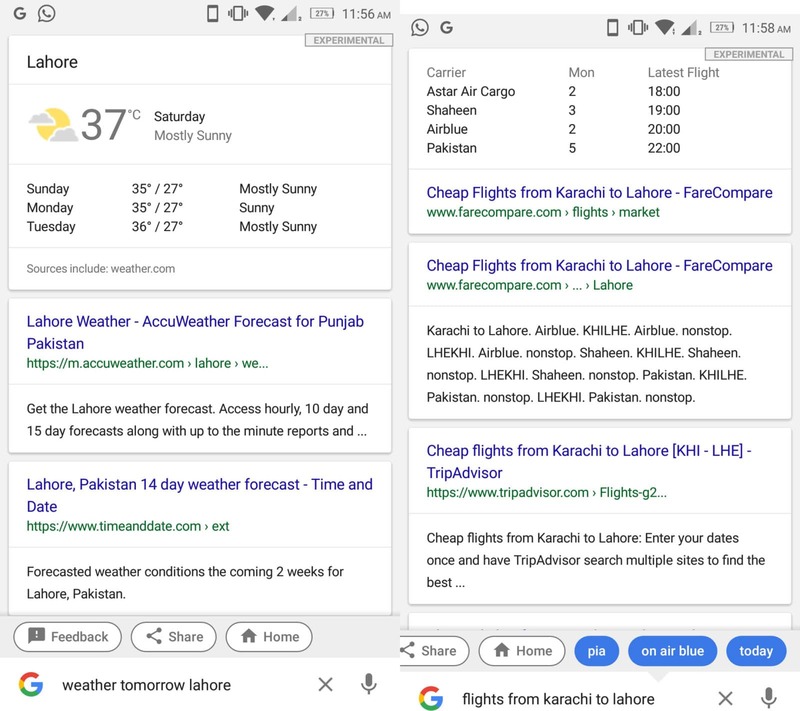 What you get with the Search Lite app is mostly the same as what you are used to from the current Search app. You can either type in or speak to search for things. You also get instant access to other various functions. Tap on the news icon and it will show you the latest news from around the world and also from wherever you are. Images will instantly show you whatever you search for. The loading times were noticeably faster than what you are used to from the regular Search app. Moreover, you also get instant access to the weather, nearby point of interests and Google Translate. Another useful feature for those who are always on the go is the ability to save web pages. Just visit a link from within the application itself and click on the download button. You can then access the webpage and browse a limited content even without a data connection. 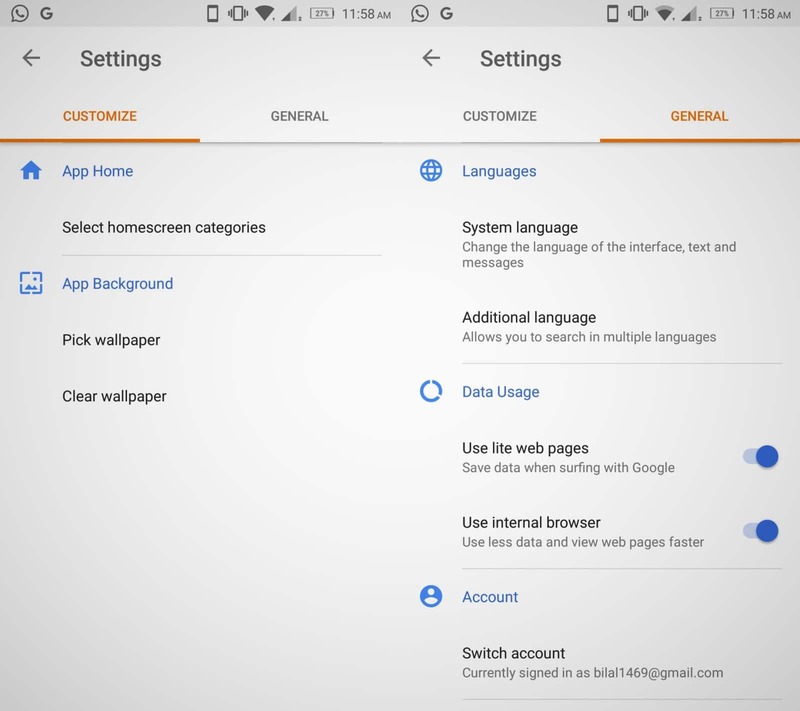 There’s also a Personalize option that can be used to customize various aspects of the application such as the amount of categories you want on the home screen, the background, languages and accounts etc. 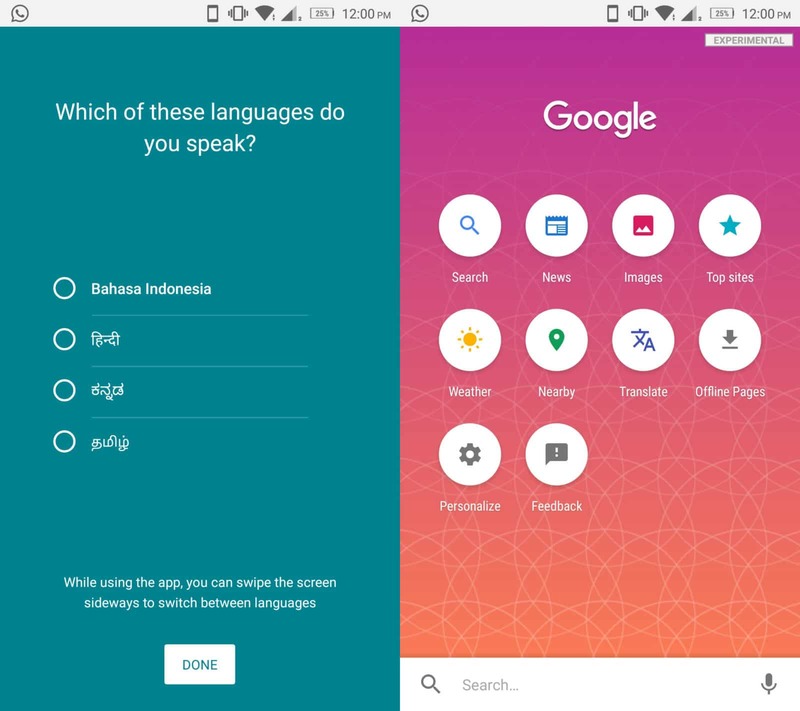 The Search Lite is available for download on the Play Store in Indonesia. However, you can download the application and test it for yourself by clicking on this link. Its perfect for those with less-than-deal internet speeds.